One morning about ten years ago, a shower changed my life. While washing, I felt a lump in my chest. I assumed it was an ingrown hair. A few months later, the lump had grown. My wife suggested I have it checked by our family doctor, who justified my nonchalance and said it was fatty tissue. The lump continued to grow. My gut told me something wasn’t right. My daughter, Vanessa, urged me to get a second opinion. That doctor recommended a biopsy. “You have male breast cancer,” my doctor said casually. The news was as scary as it was puzzling. My doctor explained I had joined the ranks of men who made up about 1 percent of all breast cancer cases. Breast cancer runs in my family. I lost a sister at age 47 and all five of my paternal aunts to the disease. Still, I never thought I’d experience breast cancer firsthand. As part of my treatment, my doctor recommended genetic testing to see if I carried either of the BRCA gene mutations, which greatly increase a person’s risk of breast, ovarian and other cancers. Learning I did carry the BRCA2 mutation helped me connect the dots between my health and the women in my family. My gene mutation came from my father’s side. My father died of prostate cancer, of which the BRCA mutation also increases the chances. Once I processed the fact that about 2,470 men will be diagnosed with breast cancer this year, I went into papa bear mode. I was determined to make sure my kids and nephews were screened, including for the mutation. I urged them to talk to their doctors about their risk, and to make sure they knew every lump, hair and mark on their bodies and have anything out of the ordinary checked. For me, chemotherapy and radiation followed, but so did unimaginable heartache. Vanessa, one of my four children, was in her early thirties, so her doctor recommended she have a mammogram due to my history and her BRCA gene mutation. The test revealed that my daughter had breast cancer, and we sought treatment simultaneously. 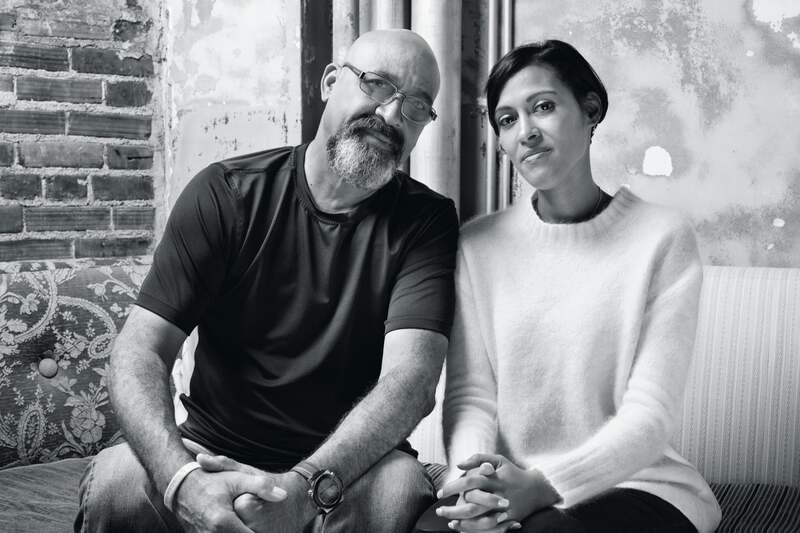 It’s not every day a father–daughter pair fights breast cancer together. Unfortunately, we knew the side effects and fears the other might experience. It was my genes that were the reason she was sick, but my doctors have stressed that getting my diagnosis and urging awareness among our family saved my daughter’s life. Without it, she might not have been screened as early and her disease could have hit an incurable stage. She’s had to fight breast cancer three times, has had both breasts removed and just completed her third course of chemotherapy this February. A year and half after my initial diagnosis, a mammogram detected a lump on my left side. My doctor gave me choices of a lumpectomy or breast removal to treat my Stage 0 breast cancer. I chose removal again. Every day I open my eyes, I look at it as a gift. I make the most of it by trying to help prevent one man—or woman—from dying of this disease. Arnaldo Silva is a Susan G. Komen More than Pink Hero, someone who has had a significant impact on the fight to end breast cancer.